Empire Farm Days is always a memorable event and 2016 was no exception. It will be hard to forget the crispy fields from the lack of rain and the 95 plus degree temperatures (ALL 3 days). Unfortunately, these severe weather conditions did seem to affect the number of people at the show. The crowds were definitely down, as it was too hot to be out in the sunshine at certain times of the day. Fortunately for us, profits from the show were still seen. It appeared that people who were able to brave the heat and came out to the show to make business happen (and so were we!). It was so wonderful to see old friends at the show and meet some new ones as well. We love being able to continue our relationships with our customers every year at this show. It is such a wonderful opportunity to see and meet people from all over New York State, Canada and the other New England states. The number of compliments and encouraging words that we heard at the show from all of our friends (old and new alike) is always astonishing. 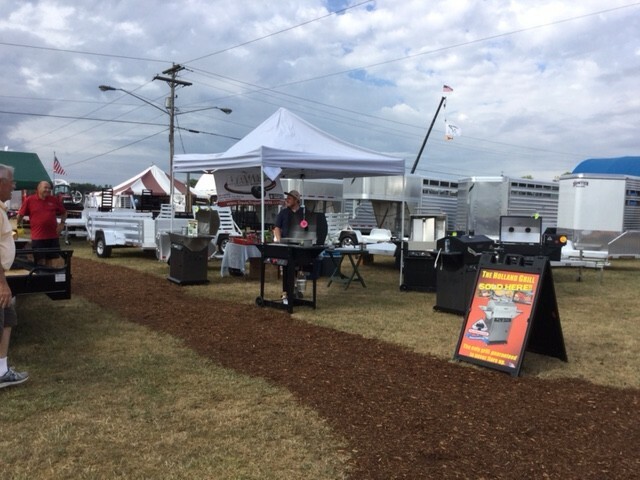 We heard compliments on the appeal of our booth and the number of trailers that we were able to bring to the show (and all the hard work that sometimes goes unnoticed). 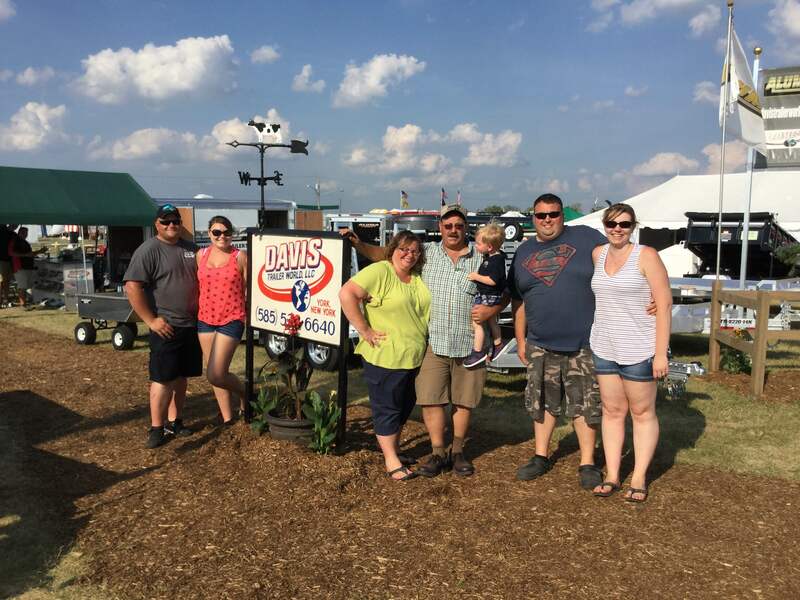 We also received compliments on our friendly and helpful staff who, even in the heat, were pleasant, helpful and were willing to stand out in the sun (next to all aluminum trailers) to answer any and all questions they had. This type of friendliness and kindness is something you will be greeted with at our store as well. 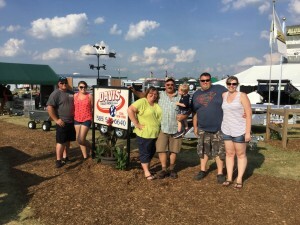 We came prepared to the show with a whopping 44 trailers and truck beds to show and sell. Of these 44 trailers, we represented almost every trailer company that we sell including Aluma, Belmont, Corn Pro, Featherlite, Kingston and Atlas. On top of our vast selection of trailers, we also fired up our Holland Grills for some delicious samples. We had a variety of things cooking including sausage and biscuits, whole turkeys, meatloaf, chicken legs, frozen pizza (CRAZY, right?) and pork loins. The Holland Grill is so versatile you can cook almost anything, and no matter what you cook, it is delicious! Unfortunately, with the heat, it was even hard to give away free food! My heart goes out to our farming community. Crops are suffering and will likely be very poor yields. Expenses are high with irrigation and keeping animals cool and comfortable and the undeniable lack of our most precious recourse, water. Good luck to you all. Thank you to all that did brave the elements and took part in the 2016 Empire Farm Days festivities. We hope to see you in the store or at the 2017 show!